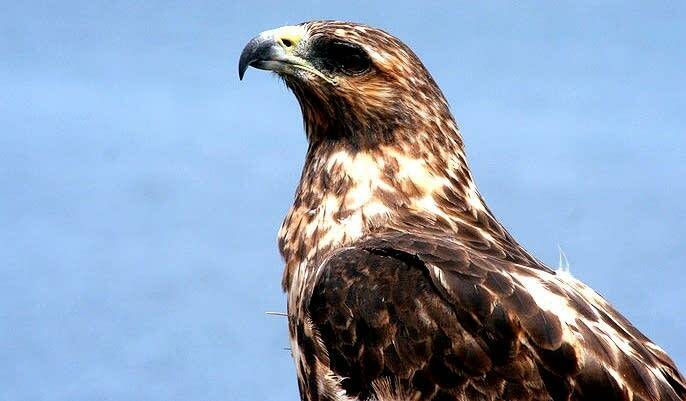 A University of Minnesota veterinarian has been invited to the Galapagos Islands to help trap and protect a population of hawks while scientists work to eradicate the islands' invasive rats. Dr. Julia Ponder, executive director of the university's Raptor Center, leaves for the Galapagos on Thursday. 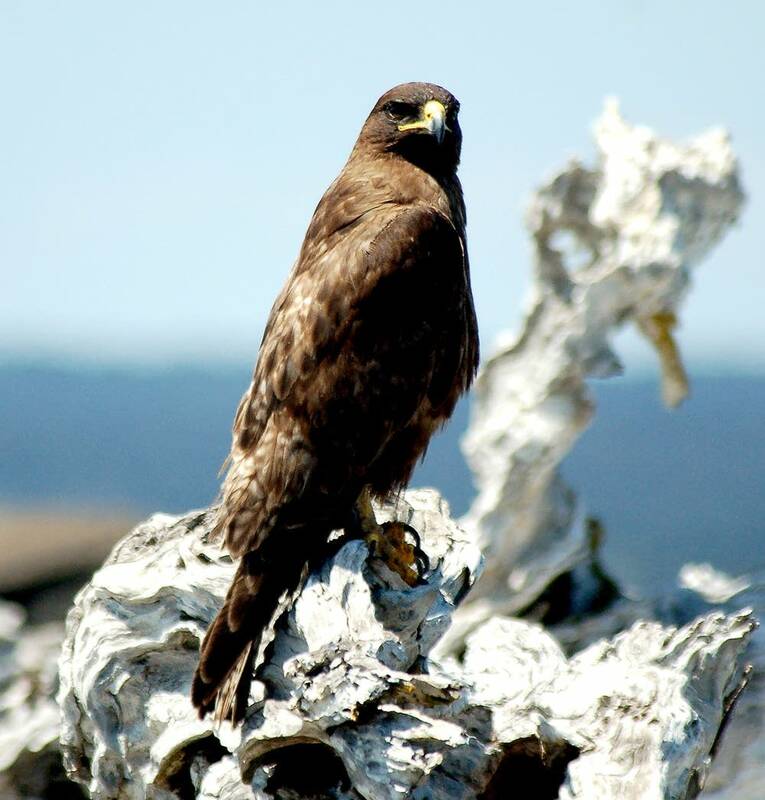 As other scientists distribute poison throughout 10 of the islands to kill the rats, Ponder will work to protect Galapagos hawks from secondary poisoning that could result from them preying on the poisoned rats. "That's the only way we know to get a broad coverage," Ponder told MPR's All Things Considered of the eradication plan. "So, [we] take many steps to make sure that the rats are the main and only target species to this bait." Norwegian rats aboard ships were introduced to the islands in the 17th century and have posed threats to the islands' ecosystems since their arrival. The effort to exterminate the non-native rats is the latest eradication project that in the past has included invasive species such as pigs, goats and various plant species. Ponder said the extermination process will be gradual to ensure that the rats do not return. Scientists have already successfully eradicated the rats from several islands. There are about 800 remaining Galapagos hawks left on Earth, but only four of the islands being targeted for rat extermination have hawks. Ponder's goal will be to protect the approximately 22 of them that live on those four islands. The hawks will be put into protective aviaries for up to eight weeks. Veterinarians will give them physical exams and help with any necessary rehabilitation while they're in captivity. The project marks the first time the Galapagos hawk will have been held in captivity, but Ponder said she doesn't expect the raptors will give the team too much trouble. "These birds, like so many of the animals on the Galapagos, don't have any fear of humans or predators, so you can get much closer to them," Ponder said. Ponder said although she has never been to the Galapagos Islands, it was on her bucket list. "I'm planning for the unknown," she said. Ponder will be writing about her experience in the Galapagos on the Raptor Center's blog.